Walter Arnold Kaufmann (July 1, 1921 – September 4, 1980) was a German-American philosopher, translator, and poet. A prolific author, he wrote extensively on a broad range of subjects, such as authenticity and death, moral philosophy and existentialism, theism and atheism, Christianity and Judaism, as well as philosophy and literature. He served for over 30 years as a professor at Princeton University. He is renowned as a scholar and translator of Nietzsche. He also wrote a 1965 book on Hegel and published a translation of Goethe's Faust. Kaufmann was raised a Lutheran. At age 11, finding that he believed neither in the Trinity nor in the divinity of Jesus, he converted to Judaism. Kaufmann subsequently discovered that his grandparents were all Jewish. Kaufmann left Germany and immigrated to America in 1939 and began studying at Williams College, where he majored in philosophy and took many religion classes. Although he had the opportunity to move immediately into his graduate studies in philosophy, and despite advice not to do so by his professors, he ultimately joined the war effort against the Nazis by serving in U.S. intelligence. During World War II, he fought in the European front for 15 months. After the war, he completed a PhD in the philosophy of religion at Harvard in a mere two years. His dissertation was titled "Nietzsche's Theory of Values" and eventually became a chapter in his Nietzsche: Philosopher, Psychologist, Antichrist (1950). He spent his entire career thereafter, from 1947 to 1980, teaching philosophy at Princeton University, where his students included the Nietzsche scholars Frithjof Bergmann, Richard Schacht, Alexander Nehamas, and Ivan Soll. Kaufmann became a naturalized citizen of the United States of America in 1960. In a 1959 article in Harper's Magazine, he summarily rejected all religious values and practice, especially the liberal Protestantism of continental Europe that began with Schleiermacher and culminated in the writings of Paul Tillich and Rudolf Bultmann. In their place, he praised moralists such as the biblical prophets, the Buddha, and Socrates. He argued that critical analysis and the acquisition of knowledge were liberating and empowering forces. He forcefully criticized the fashionable liberal Protestantism of the 20th century as filled with contradictions and evasions, preferring the austerity of the book of Job and the Jewish existentialism of Martin Buber. Kaufmann discussed many of these issues in his 1958 Critique of Religion and Philosophy. "...I know of no other great writer in the whole nineteenth century, perhaps even in the whole of world literature, to whom I respond with less happiness and with a more profound sense that I am on trial and found wanting, unless it were Søren Kierkegaard." Kaufmann edited the anthology Existentialism from Dostoevsky to Sartre. Kaufmann disliked Martin Heidegger's thinking, along with his unclear writing. Kaufmann is renowned for his translations and exegesis of Nietzsche, whom he saw as gravely misunderstood by English speakers, as a major early existentialist, and as an unwitting precursor, in some respects, to Anglo-American analytic philosophy. Michael Tanner called Kaufmann's commentaries on Nietzsche "obtrusive, self-referential, and lacking insight", but Llewellyn Jones wrote that Kaufmann's "fresh insights into ... Nietzsche ... can deepen the insights of every discriminating student of literature," and The New Yorker wrote that Kaufmann "has produced what may be the definitive study of Nietzsche's ... thought—an informed, scholarly, and lustrous work." "...it also seems that as a philosopher [Nietzsche] represents a very sharp decline [from Kant and Hegel] ... because [Nietzsche] has no 'system.' Yet this argument is hardly cogent. ... Not only can one defend Nietzsche on this score ... but one must add that he had strong philosophic reasons for not having a system." Kaufmann also sympathized with Nietzsche's acerbic criticisms of Christianity. However, Kaufmann faulted much in Nietzsche, writing that "my disagreements with [Nietzsche] are legion." Regarding style, Kaufmann argued that Nietzsche's Thus Spoke Zarathustra, for example, is in parts badly written, melodramatic, or verbose, yet concluded that the book "is not only a mine of ideas, but also a major work of literature and a personal triumph." Kaufmann described his own ethic and his own philosophy of living in his books, including The Faith of a Heretic: What Can I Believe? How Should I Live? What Do I Hope? (1961) and Without Guilt and Justice: From Decidophobia to Autonomy (1973). He advocated living in accordance with what he proposed as the four cardinal virtues: ambition/humility, love, courage, and honesty. The Faith of a Heretic: What Can I Believe? How Should I Live? What Do I Hope? Basic Writings of Nietzsche, designed to complement the preceding. Religion from Tolstoy to Camus, a companion to the preceding. "Goethe and the History of Ideas", Journal of the History of Ideas, v. 10, October 1949, pp. 503–516. "The Hegel Myth and Its Method", Philosophical Review v.60, No. 4 (October 1951), pp. 459–486. "Some Typical Misconceptions of Nietzsche's Critique of Christianity", Philosophical Review v. 61, no. 4 (October 1952), pp. 595–599. "Hegel's Early Antitheological Phase", Philosophical Review v. 63, no. 1 (January 1954), pp. 3–18. "Nietzsche and Rilke", Kenyon Review, XVII (1955), pp. 1–23. "A Hundred Years after Kierkegaard", Kenyon Review, XVIII, pp. 182–211. "Jaspers' Relation to Nietzsche", in Paul Schilpps, ed., The Philosophy of Karl Jaspers (New York: Tudor, 1957), pp. 407–436. "The Faith of a Heretic", Harper's Magazine, February 1959, pp. 33–39. Reprinted in Existentialism, Religion, and Death (New York: New American Library, 1976). "Existentialism and Death", Chicago Review, XIII, 1959, pp. 73–93. Revised version reprinted in Existentialism, Religion, and Death (New York: New American Library, 1976).
"" in The Meaning of Death, Herman Feifel, New York: The Blakiston Division / McGraw-Hill, 1959. Preface to Europe and the Jews: The Pressure of Christendom on the People of Israel for 1900 Years, 2d ed, by Malcolm Hay. Boston: Beacon Press, 1961. "A Philosopher's View", in Ethics and Business: Three Lectures. University Park, Pa., 1962, pp. 35–54. Originally presented at a seminar sponsored by the College of Business Administration of the Pennsylvania State University on March 19, 1962. "Nietzsche Between Homer and Sartre: Five Treatments of the Orestes Story", Revue Internationale de Philosophie v. 18, 1964, pp. 50–73. "Nietzsche in the Light of his Suppressed Manuscripts", Journal of the History of Philosophy v. 2, October 1964, pp. 205–226.
"" in Philosophy and Educational Development, Ed. by G. Barnett. Boston: Houghton Mifflin Company, 1966. "Buber's Religious Significance", from The Philosophy of Martin Buber, ed. P. A. Schilpp and Maurice Friedman (London: Cambridge University Press, 1967) Reprinted in Existentialism, Religion, and Death (New York: New American Library, 1976). "The Reception of Existentialism in the United States", Midway, vol. 9 (1) (Summer 1968), pp. 97–126. Reprinted in Existentialism, Religion, and Death (New York: New American Library, 1976). Foreword to Frau Lou: Nietzsche's Wayward Disciple, by Rudolph Binion. Princeton, New Jersey: Princeton University Press, 1969. Foreword to An Introduction to Hegel's Metaphysics, by Ivan Soll. Chicago and London: University of Chicago Press, 1969. "The Origin of Justice", Review of Metaphysics v. 23, December 1969, pp. 209–239. "Beyond Black and White", Midway, v. 10(3) (Winter 1970), pp. 49–79. Also Survey no. 73 (Autumn 1969), pp. 22–46. Reprinted in Existentialism, Religion, and Death (New York: New American Library, 1976). "Hegel's Ideas about Tragedy" in New Studies in Hegel's Philosophy, ed. Warren E. Steinkraus (New York: Holt, Rinehart and Winston, Inc., 1971), pp. 201–220. "The Death of God and the Revaluation", in Robert Solomon, ed., Nietzsche: A Collection of Critical Essays (New York: Anchor Press, 1973), pp. 9–28. "The Discovery of the Will to Power", in Robert Solomon, ed., Nietzsche: A Collection of Critical Essays (New York: Anchor Press, 1973), pp. 226–242. "Nietzsche and Existentialism", Symposium: A Quarterly Journal in Modern Foreign Literatures, v. 28(1) (Spring 1974), pp. 7–16. Reprinted in Existentialism, Religion, and Death (New York: New American Library, 1976). "Hegel's Conception of Phenomenology" in Phenomenology and Philosophical Understanding, Edo Pivcevič, ed., pp. 211–230 (1975). "Unknown Feuerbach Autobiography", Times Literary Supplement 1976 (3887): 1123–1124. "A Preface to Kierkegaard", in Søren Kierkegaard, The Present Age and Of the Difference Between a Genius and an Apostle, trans. Alexander Dru, Harper Torchbooks, pp. 9–29. Reprinted in Existentialism, Religion, and Death (New York: New American Library, 1976). "On Death and Lying", Reprinted in Existentialism, Religion, and Death (New York: New American Library, 1976). "Letter on Nietzsche", Times Literary Supplement 1978 (3960): 203. "Buber's Failures and Triumph", Revue Internationale de Philosophie v. 32, 1978, pp. 441–459. "Buber: Of His Failures and Triumph", Encounter 52(5): 31–38 1979. Reply to letter, Encounter 55(4): 95 1980. "Art, Tradition, and Truth", Partisan Review, XVII, pp. 9–28. "Prof. Kaufmann discusses Sartre, Jaspers, Heidegger, Kierkegaard"
"Homer and the Birth of Tragedy"
"Aeschylus and the Death of Tragedy"
"The Power of the Single Will"
"The Will to Power Reexamined"
Pickus, David. "The Walter Kaufmann Myth: A Study in Academic Judgment", Nietzsche-Studien 32 (2003), 226–58. Ratner-Rosenhagen, Jennifer. "'Dionysian Enlightenment': Walter Kaufmann’s Nietzsche in Historical Perspective", Modern Intellectual History 3 (2006), 239–269. Sokel, Walter. "Political Uses and Abuses of Nietzsche in Walter Kaufmann’s Image of Nietzsche", Nietzsche-Studien 12 (1983), 436–42. ^ "After my conversion, we went to the synagogue together for many years ... ." Kaufmann, W., 1961. The Faith Of A Heretic. Doubleday & Co., p.18. ^ Kaufmann, Walter (February 1959). "Faith of a Heretic" (PDF). Harper's Magazine. Retrieved July 9, 2015. 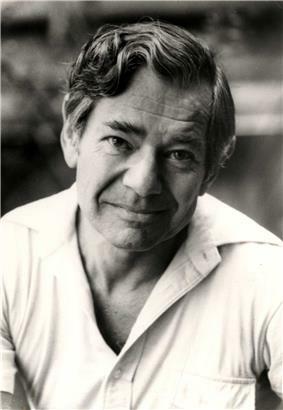 ^ a b Kaufmann, W., 1980. Discovering the Mind. McGraw-Hill, page 26. ^ Kaufmann, W., 1961. Religion From Tolstoy To Camus. Harper and Brothers, page 3. ^ Tanner, Michael (1994). Nietzsche. Oxford University Press. pp. 82, 84. ^ Kaufman, Walter (1974). Nietzsche: Philosopher, Psychologist, Antichrist. Princeton University Press. p. 79. ^ Kaufman, Walter (1980). Nietzsche, Heidegger, and Buber: Discovering the Mind, Volume 2. Princeton University Press. p. 6. ^ Kaufmann, W., 1961. The Faith of a Heretic. Doubleday & Co., pages 317–338. Walter Kaufmann Web Project with useful links to his work and life. Selected works of Walter Kaufmann.